BRYAN EATON/Staff photo. 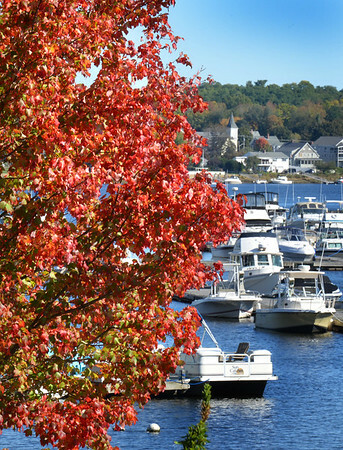 Many boats are still docked or moored in the Merrimack River as the nice weather continues into October, although some leaves are starting to turn color like this maple near Hatter's Point in Amesbury. Peak season for leaf peeper in the area is still about two weeks away.